Going through our sitemeter can sometimes throw up some interesting finds. Today, thanks to The Constant Gatherer I was thrilled to discover the amazing work of Thomas Wold. This versatile artist and furniture maker has a special mix of whimsy, style and practical know-how that enables him to put things together in a rather spectacular way. 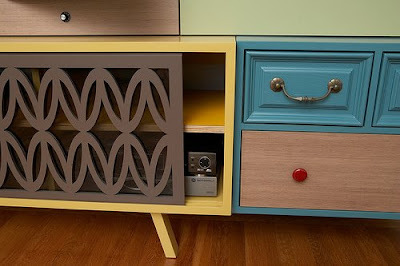 Case in point: this Fractured Fairytales cabinet, made from lots of (previously) unrelated vintage furniture. 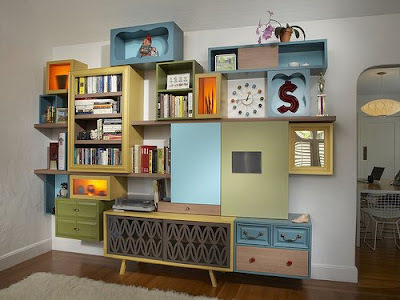 Still pretty eclectic, but nowhere near as eclectic as the Fairytales, is the styling Block Party cabinet below. I'm thinking of just the spot in my sitting room for this one! 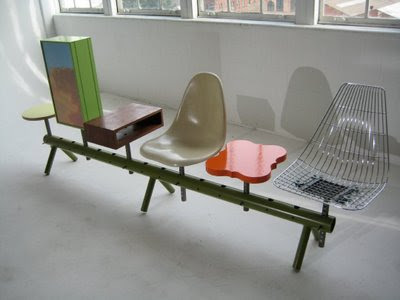 The Variety Beam seat, made by Thomas for ReadyMade magazine (and explained in step-by-step detail on his blog), was inspired by laundromat seating. Imagine the mix of characters you might meet up with on those seats while waiting for the rinse cycle! 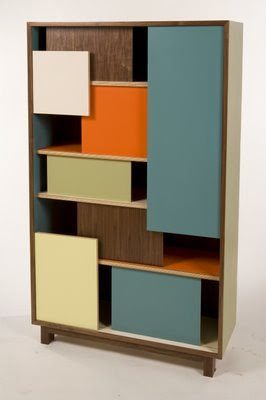 And demonstrating with elegance and poise that Thomas Wold doesn't only make furniture that's all about eclectic can-doism, here is his Cliff Diver Dresser . For lots more about Thomas Wold, look at more of his work on his website and Flickr page, read about how his projects happen on his blog, and take a look at his design collective, GrandObject too. I love your stuff, and have featured you on my blog before!! 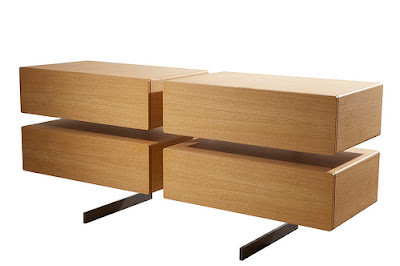 Love Thomas Wold, he's in my furniture redo flickr group, and has a great eye and amazing talent!! I also love miss Katie at the constant gatherer, and all of her great finds! Thanks for doing such a great post:) Keep up all the great work! I'm off to find out more now, what fab stuff.